In this special eTNL on education, I want to say a word about our Education Superintendent, Connie McCormick. Those who know her know that she is not one to raise her voice. Mrs. McCormick always has this calm presence that speaks volumes when you are dealing with children and teachers. In meetings she is not one to voice her opinion with a high tone, but when she speaks, you will notice that she has given a lot of thought to what she is saying. Her ideals are well processed. We want to applaud Mrs. McCormick for her leadership in our education department. In the last few months she has shown leadership in the way she and her team handled the OLWEUS bullying prevention project. On a more personal level, I am thankful that she organized the Outdoor School to immerse the students in nature. I saw the light in my son’s eyes; I can assure you that he now has an increased awareness of God’s creation. 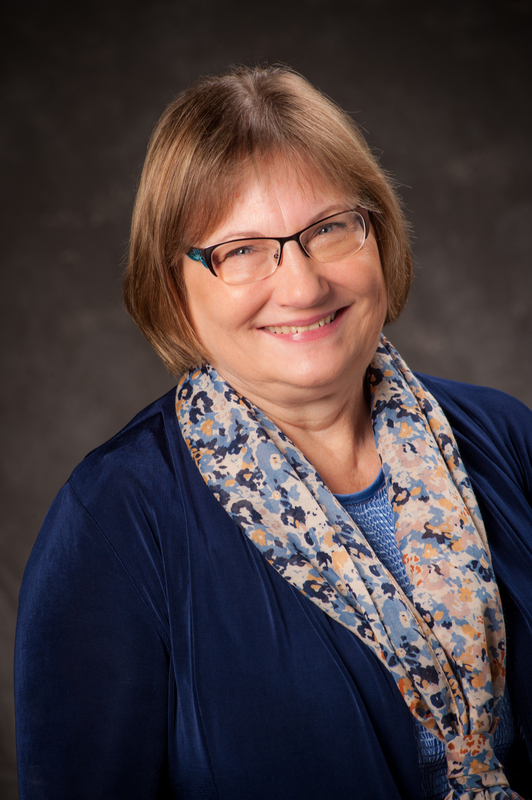 Mrs. Connie McCormick has done many other small but significant programs that usually do not go to the press, but these are programs that impact lives for eternity, so can we join hands and applaud her for Jesus. “A few months ago, a lady in our community unexpectedly called me about starting a scholarship fund for children who wanted to enroll in a Christian school but could not afford it. Of course, I was interested in her idea and she scheduled a meeting with me and representatives of two other area Christian schools. We met and I realized that her idea, while a great idea, would take a long time, if ever, for her to get off the ground. However, we agreed to meet again in a month. At the second meeting the small group of us began to talk about an effort to market Christian education to our community. That is when things began moving in a new direction. The Minnesota Conference has caught the vision for bullying prevention within Adventist education. In August 2014, the Minnesota Conference of Seventh-Day Adventists set precedent within the North American Division by implementing Olweus on a conference-wide level amongst its 12 elementary and secondary schools. As part of a two-day Bullying Prevention Coordinating Committee training, a total of 63 attendees, the committee members included 25 teachers/head teachers, 12 teacher’s aides, eight support staff, five parents, four volunteers, four board members, three pastors, and two principals. The Center for Conflict Resolution gifted the trainees with nearly $10,000 worth of Olweus materials to assist them in their program implementations. In addition, funding provides for each school to be supported by a consultant through the first 18 months of program implementation. Minnesota Conference is receiving recognition for its ground-breaking endeavors. The conference-wide Olweus implementation will be featured in the Journal of Adventist Education and the electronic version of The Northern Light. In addition, Jim Field, former head of the Minnesota Independent School Forum, is applauding the Minnesota Conference for being proactive in voluntarily implementing a bullying prevention program in a parochial school system. August, Stone Ridge SDA Christian School sent five individuals consisting of church members, school board members and teachers to the Olweus Anti-Bullying training in Brainerd, MN. The school has already started implementing the training and policies learned there. The Anti-Bullying program was announced at the school’s annual corn roast where parents were given the anti-bullying rules and definition. The next morning in the school’s worship service, parents were involved in a role-play skit on bullying. The students have participated in three Circle-Time meetings and are learning to distinguish rough-house play and good natured teasing from hurtful bullying. 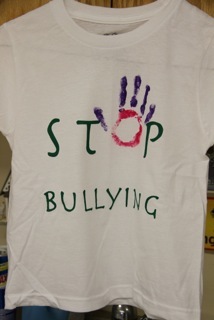 The kids wore silk screened t-shirts with the school’s logo on the back, and their Anti-Bullying slogan on the front. Then they participated in the making of a DVD to be shown at the Duluth SDA Church, presented by the school chairperson and in conjunction with the potluck, which was especially decorated with the anti-bullying rules as center pieces. Outdoor School or Out of Our Way? 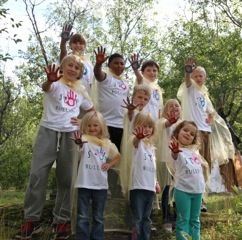 Outdoor School is an event that our Minnesota schools have just adopted this past school year. It is an event opened to our MN Church Schools for grades 5 through 8th. Since our first year was successful, our Superintendent of our schools, Connie McCormick, decided to make it a yearly event. 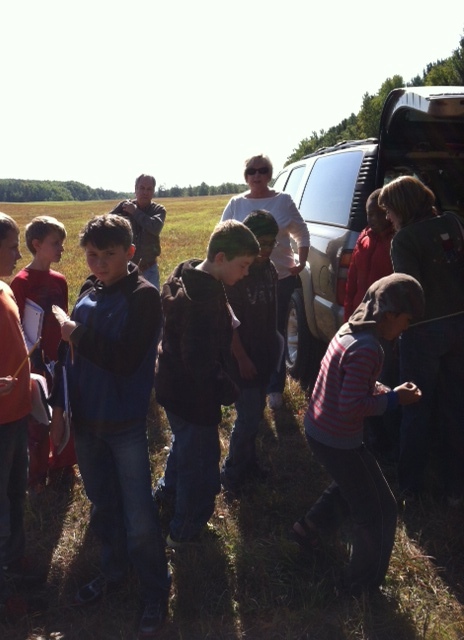 This was the second year Outdoor School was planned and implemented at North Star Camp with much work and effort. 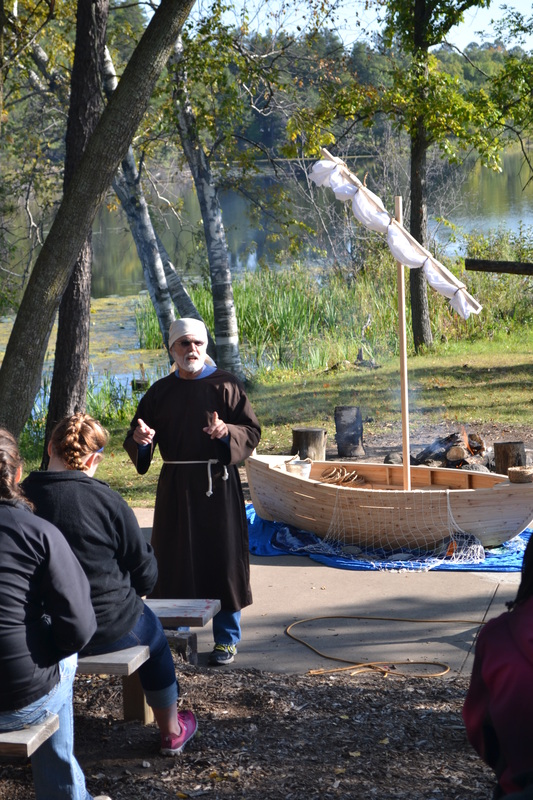 This year’s Outdoor School theme “One Time Long Ago in Galilee…” was chosen for our students to experience how the original Galilean Peter, a fisherman trained by Jesus, told personal experiences from his point of view. We also thought that the best way to experience Galilean fishing is take off the sneakers and step into the sandals of Peter where all the students can imagine and say, “I was there!” by reliving Peter’s story with him. Our superintendent of schools organized this year’s Outdoor School exquisitely by asking her husband, Sherman McCormick, to put on Peter’s sandals. He was not only our speaker this week but he was representing and delivering his message through the personification of Peter, one of Jesus’ most stubborn servants, but who became the strongest in faith. Elder McCormick did a beautiful job communicating many popular and significant stories as Peter, who witnessed them when he walked with Jesus. Many of us are not even aware of the sacrifice and energy it takes to make Outdoor School happen. Many people, beginning with our Superintendent and the MN Conference, go out of their way to make this event a success. There is so much one can say about what happens and how it all comes together here at North Star Camp and many things that needs to get done before our children and teachers get to go to enjoy Outdoor School. Many parents sacrifice money for their children to attend, many teachers have a hard time finding enough chaperones to help with the kids, many parents sacrifice their time, and let’s not forget about those spouses and families we leave behind for us to be here. Many volunteer hours go unnoticed by individuals; at the Conference, at North Star Camp who works in the kitchen, prepare the campsite, clean cabins and many other things that I cannot even imagine. Teachers become parents not chaperones; we are monitoring our students as our children 24 hours a day, 4 days in the week. We take care of their sleep, their hygiene, we make sure they get to their respective areas on time, we worship with them before we go to bed, and so much more. 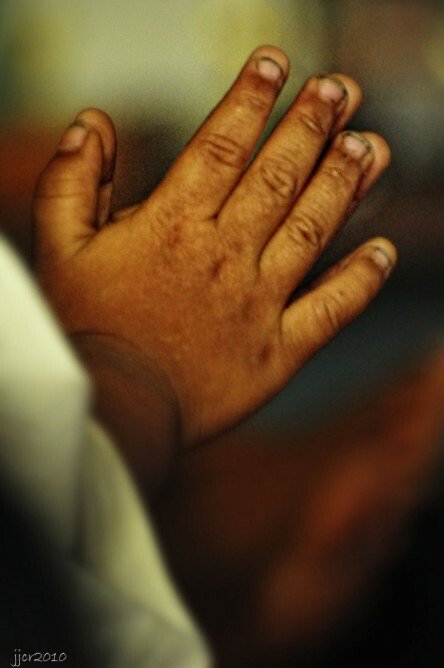 Many actions go unnoticed but we do it because we were “called” by God to witness to these children. We even heal broken hearts – somehow we become the confidents of family problems and we are needed for advice and prayer. Outdoor School is a time where bonding occurs between students and teachers and our true love for our careers becomes a calling and not a job. We all keep on going out of our way to make one more Outdoor School event a success. One special sacrifice does come to mind and I believe is worth mentioning – the building of our main prop; the boat representing many stories told during our worship time. We all came to the point and appreciated this boat, which made the stories told by Elder McCormick come to life. 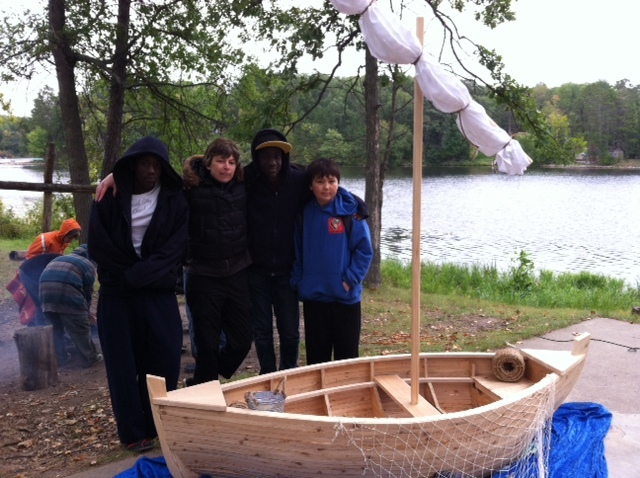 This boat was built by one of our hard working volunteers, Mark Wetterling. He gave a new meaning to the phrase going out of our way. He worked on his day off and then forfeited his sleep the next day so it would be ready on time for our first evening worship. The craftsmanship of this boat gave a new meaning to the word “dedication” and giving our best to God. This boat not only helped portray the stories told during our worship time, but it was a representation of “going out of our way” for this event to take place. This article is dedicated to those individuals who have made possible for Outdoor School to become a success these past two years and hopefully for years to come. Unfortunately, not everyone can be mentioned, but it is those unsung heroes who have “gone out of their way”, who have humbly accepted the challenge and will continue to accept the challenge to be witnesses to these children. It is those unsung heroes who will return home to their families and share their personal experiences and perhaps enjoyed it so much that when the next year comes, they will listen to God’s voice and come forward to ask, “How can I help?” Maybe, just maybe, they will also “go out of their way” as Jesus did for us in the Sea of Galilee. “Reading about nature is fine, but if a person walks in the woods and listens carefully, he can learn more than what is in books, for they speak with the voice of God.” ~George Washington Carver This past week, students from all over the Minnesota Conference enjoyed time in the great outdoors as they participated in the second annual Minnesota Conference Outdoor School at North Star Camp. 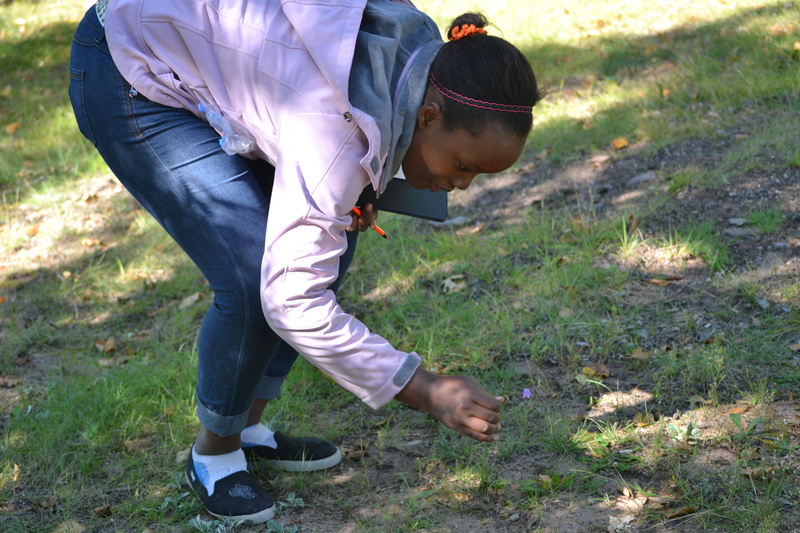 Eight schools with 65 fifth through eighth graders, along with their sponsors, packed up their gear and made the trek up to Brainerd where their school changed from a classroom with four walls to God’s classroom . . . the great North Woods, meadows, lakes, and wetlands. “One Time Long Ago in Galilee” was the week’s theme. Activities focused on a time when Jesus walked, taught, meditated, and healed, not in a temple or classroom, but in nature. Classes were divided in the mornings into the four ecosystems, each being studied by a particular grade. 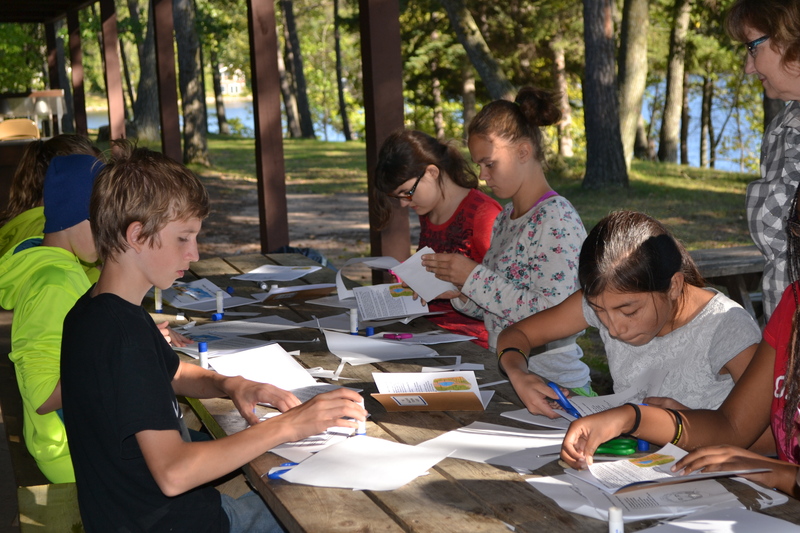 In the afternoon, camp craft, Bible Lab, weather, knot-tying, and art classes were the focus. 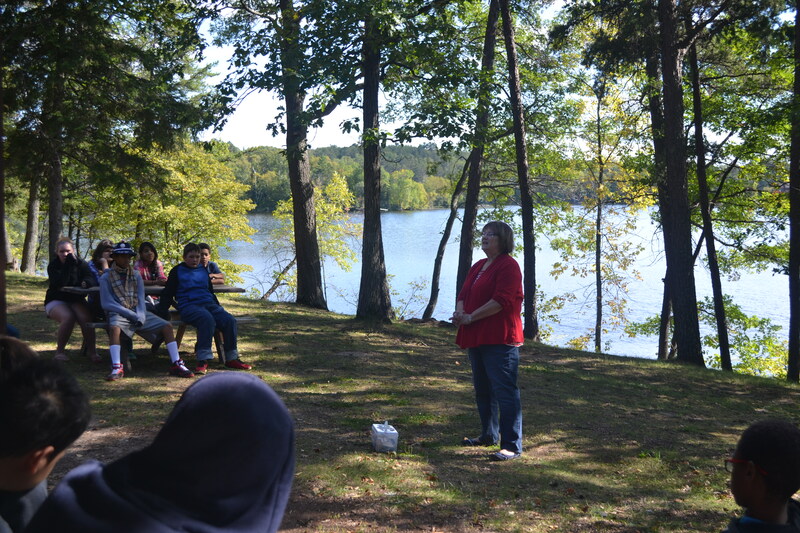 In a class led by Superintendent Connie McCormick, students assembled their own tackle box, enabling them to become “fishers of men, Galilean style.” Morning and evening devotions were filled with praises to our Savior followed by a stirring monologue by Pastor Sherman McCormick depicting one of the most effective “fishers of men” of all time, the apostle Peter. The story of Peter, told in his own voice, took the students from the time when he first heard of the Savior until the denial of Christ, and ultimately, the forgiveness that Peter experienced. 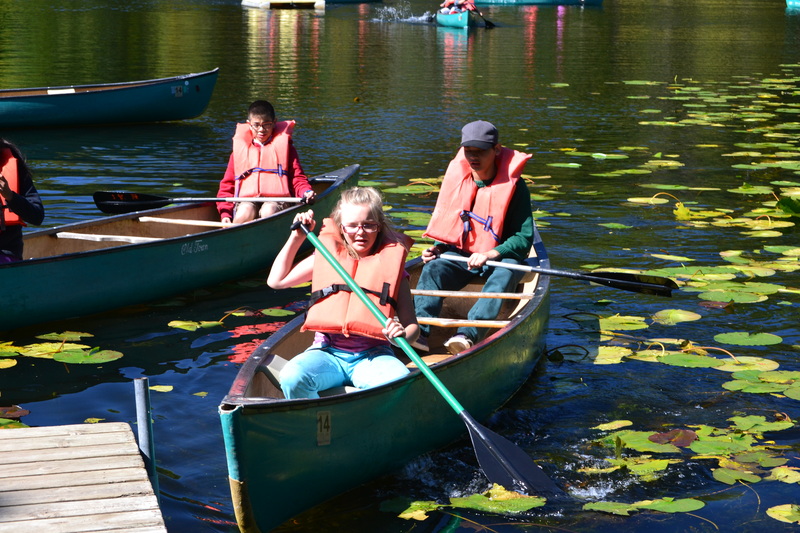 When interviewed, several students commented that this was one of their favorite Outdoor School experiences. Not all the time was spent in classes. Ample time was given to re-create. 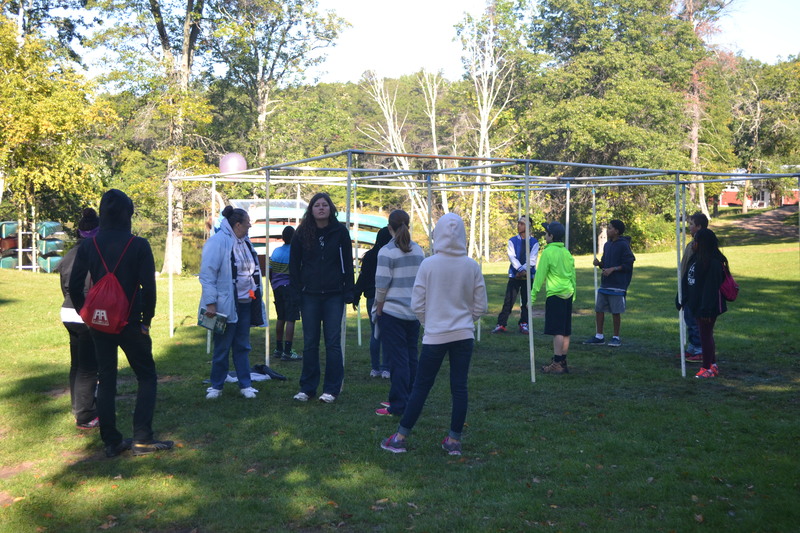 The weather was crisp and beautiful, providing the perfect environment for hiking, canoeing, playing nine-square, capture the flag, and getting acquainted with new and old friends. Many are looking forward to what next year’s Outdoor School will bring; a time to look forward to reuniting with friends, spending time in God’s nature, and reconnecting with our Creator. Something that encourages me is the knowledge that there are a lot of people in our Conference who pray regularly for the work in Minnesota. Not just general prayers, but rather for specific people or programs for which they personally care a great deal. They pray for their pastor, teacher, for the people in their church, and for local events. Many of them pray for institutions like Maplewood Academy or North Star Camp. And they pray for our ministries, like Education,Youth, Evangelism, or (my personal favorite) Gift Planning and Trust Services. If you are serious about your prayer life, then like me, you want to know as much about what you are praying for as possible. When we pray with more knowledge, then there is additional precision to our prayers, and it makes the conversation with God so much easier from our perspective. With that in mind, I want to share with you something that you can be praying for regarding evangelism. Several months ago, we set a goal for ourselves of 1,000 baptisms in the metro area evangelism meetings, and a total membership in the Conference of 10,000 by camp meeting of 2015. Knowing those goals, I am sure that there are some dedicated people who will want to include this in their daily prayers. When I pray about our evangelism efforts, I am praying for more than just a goal for baptisms, or just a total number of members on our books, although I do include those goals. But I specifically ask God to grant us that many new disciples. By that, I mean genuine followers of Jesus Christ who understand and accept that they have a mission to grow the kingdom of God. I ask that they will join with us in all our churches to use the gifts the Holy Spirit has given them to reach out to the community, as well as to nurture our faithful members. I also ask that the members we have now will be filled with a passion to find such people and share the gospel with them. I am praying for churches that live our mission. In addition to these prayers on behalf of our goals for our churches, I pray for the individual evangelism meetings in all our churches. 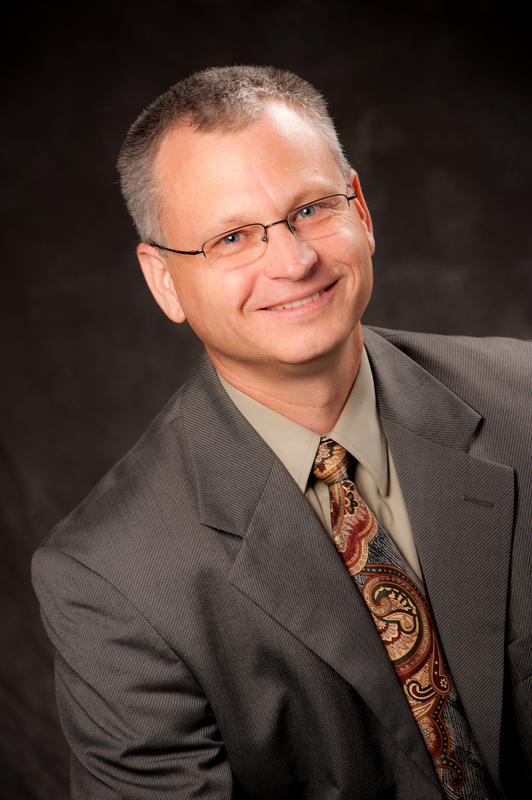 I also pray for Shawn Boonstra and for Julio Chazarreta, who will be holding city-wide meetings in 2015. I pray for everyone who has a role in any of these meetings, the greeters, the Bible workers, even to the treasurers who write the checks. Won’t you join me in those prayers? I believe in the power that comes through prayer, and I know that more people bowed in prayer for these things release blessings on all our efforts in this work. And I feel more confident going forward with the knowledge that many of you will answer this call, and turn to Heaven for help. Thank you, and God bless you all.